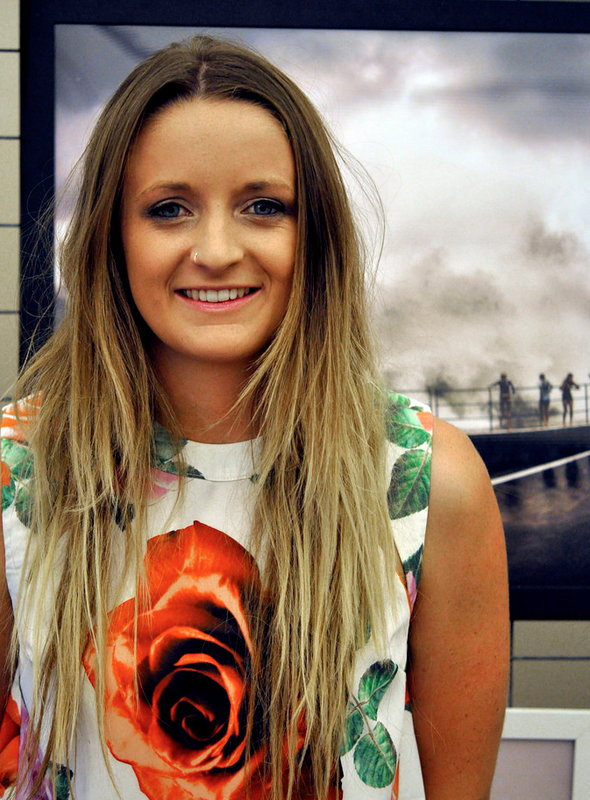 Georgia Matts is 22 years old and comes from Wollongong on the NSW South Coast. 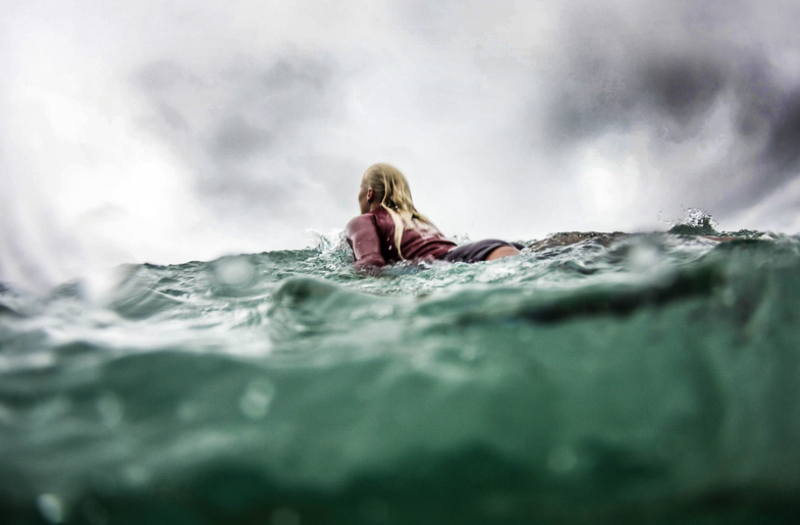 she placed 3rd in the 2015 Ocean & Earth Surf Photographer Search based on her ability to capture images from a different perspective in the water and on the shore. We love Georgia’s philosophy and love of life. She’s a name for the future and we’re stoke to be unearthing her and sharing her story. I started taking photos in my rebellious skater chick phase when I was 13. My friends and I would go skate around our neighbourhood, I would take photos and would try and make us look like we actually had skill. After that phase fizzled out I bought myself a $50 digital camera with a housing, and started taking pictures of my friends on the shore breaks. It just progressed from there. I struggled to express my emotions in a way that was very gratifying, and I found that my images were expressing more than just the waves breaking. As I grew older I started to comprehend how happy I was when I was out in the ocean, so ever since then I have tried to capture those moments as naturally as possible. I hate confined spaces. It makes me feel out of control and vulnerable. So I guess that’s the reason why I am drawn to the Ocean… Because it is boundless. When I am shooting in the Ocean, all I am thinking about is the expression on the faces of the people that I am shooting. I mostly just shoot people that are my good friends, because the emotion that people show in the Ocean is something that you don’t often see on land. Seeing my friends happy is the most important thing to me. My favourite spot to shoot is in my home town and is nicknamed Oilies, which is home to the famous wave generator. I love it because it is so secluded and the conditions are forever changing. Everything there is so rugged, I have never been to a surf break like it. I started working for Fairfax Media when I was 20 years old, that in itself has been a major achievement for me, because they are one of the largest media distribution companies in the World. I capture smiles and laughter that I want to remember for the rest of my life. I do this because I want to learn about the world and I want to learn about myself; and I want to find things that I genuinely care about. I believe, if a person can do that, it will be the source of the greatest work you’ll ever do. My photography will take me around the world, and I can’t wait to share it with you. In my camera bag are my 2 go to cameras, my canon 5D mark iii and my Canon 40d. Along side a 24-70mm, 15mm Fish eye and a 70-300mm. I always have lollies in my bag because I get sea sick when I’m out in the ocean swimming, so I pop a few Zappo’s in my wetsuit. There is also my Camera Housing, my Flash and a notepad so I can write down ideas that pop into my head. It was hard to choose my favourite shot. But this one I have chosen was taken at the 2015 Ripcurl Pro at Bells Beach. I was allowed into the media area of the Female presentation. I love this shot of Carissa because it feels so personal and it unlike any other shot I have taken. I was so lucky to be put in this situation. The photo captures everything I try to aim for when taking photos. You can read her emotions written in her eyes. When editing this image there wasn’t a whole lot that I did. It just turned out that everything around Carissa was dark and she was so bright, so I just made sure that the clarity was enhanced so she stood out as much as possible.